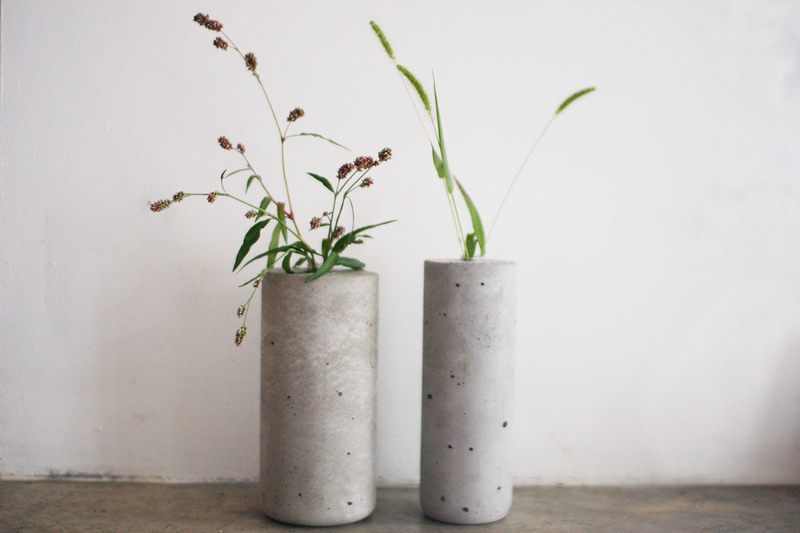 Meet the nook and test tube vases, the latest additions to the Tasi Masi family. 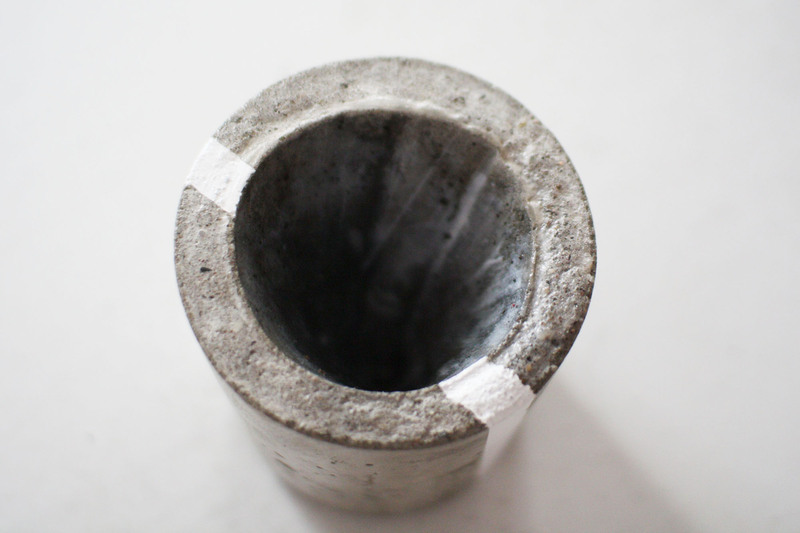 The test tube vase comes in two sizes, and features a glass test tube embedded in concrete. 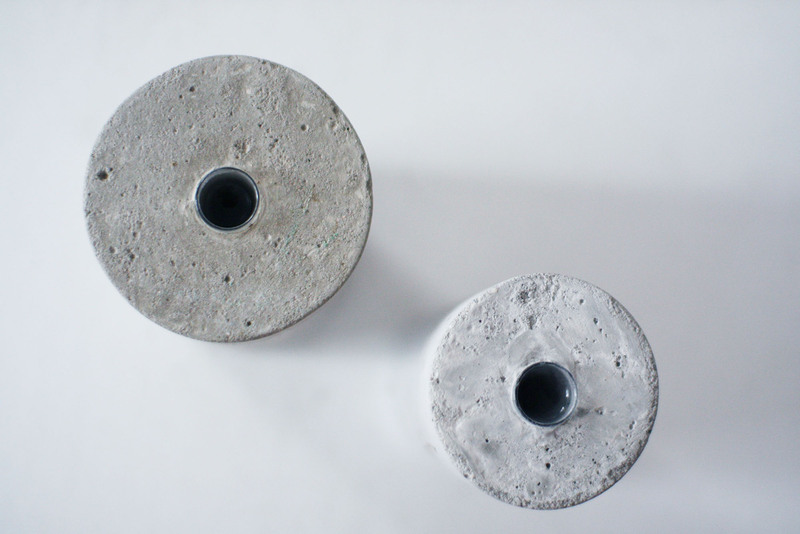 The concrete on these vases is left unpainted and unsealed to allow it to quickly absorb any overspill and develop a beautiful patina as it ages. It also feels really nice and smooth and cool in your hands. The nook vase came about from an idea my mum had while visiting from Perth a few months ago. 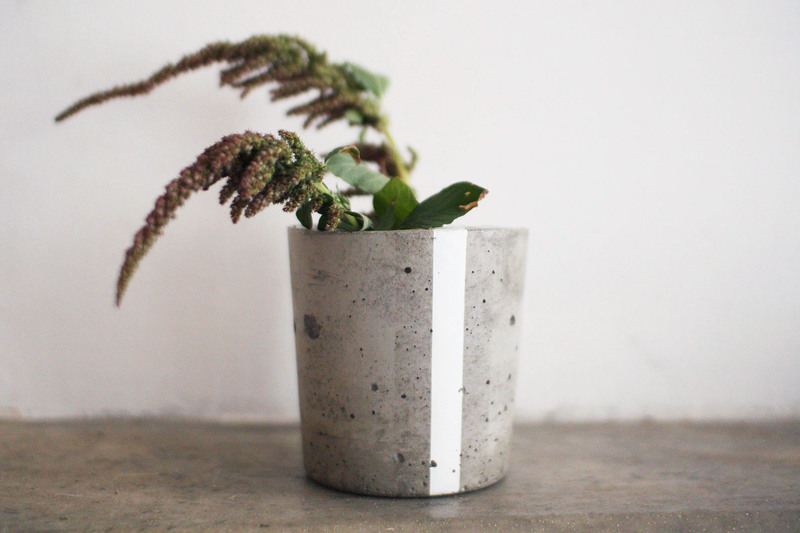 It features an inverted cone-shaped opening, making it really easy to create a beautiful floral arrangement with only a few stems. I’ve been using them both around our apartment and am loving them! I hope you will, too. These guys are both now available to buy at tasimasi.com. 15 Sep	This entry was published on September 15, 2014 at 3:50 pm. It’s filed under tasi masi and tagged concrete, floral arranging, online store, patina, products, tasi masi, test tube, vase. Bookmark the permalink. Follow any comments here with the RSS feed for this post.